A parliamentary report of 1777 recorded a parish workhouses in operation in Tisbury for up to 80 inmates. A building to the east of Tisbury parish church was used as workhouse. Semley had a parish workhouse in a U-shaped building on the east side of Sem Hill. Semley former parish workhouse site, 1887. County of Wiltshire: Alvediston, Ansty, Berwick St John, Berwick St Leonard, Chicklade, Chilmark, Donhead St Andrew, Donhead St Mary (2), Fonthill Bishop, Fonthill Gifford, Hindon Free Royal, Semley, Sutton Mandeville, Swallowcliffe, Teffont Evias, Teffont Magna, East Tisbury, West Tisbury, Tollard Royal, Wardour. The population falling within the Union at the 1831 census had been 9,763 with parishes ranging in size from from Berwick St Leonard (population 51) to Downhead St Mary (1,520). The average annual poor-rate expenditure for the period 1833-35 had been £8,267 or 16s.11d. per head of the population. Initially, the new union took over the existing Tisbury parish workhouse on Church Street. Building.— The site is very low and confined; and some time since fever prevailed in the house. The house is in all respects insufficient for the accommodation of the inmates. There are no separate infectious wards, and infectious cases would be received into the body of the house. No separate sick wards are provided for children. The ventilation, hght, and drainage are all defective; the water supply is bad, and the sanitary state of the house unsatisfactory. Furniture.— The bedsteads are veiy old; the beds are stuffed with straw and chaff; the bedding appears to be in fair condition and sufficient. The conveniences for washing are very defective. Inmates.— There are only two classes, males and females. The aged men are clothed in cloth suits. The able men and boys in cord and fustian suits. The women and girls in cotton print dresses, and the usual under clothing. There is no employment for the men. The women do the household work, and sew. There is no recreation for the inmates. Medical Attendance.— The medical officer finds all the drugs for the use of the sick inmates. Nursing.— There is no paid nurse; the nursing is performed by the inmates. Chaplain.— There is a chaplain; Divine service is regularly performed. The inmates who are Dissenters attend their own places of worship by special permission. School.— There is a school, but the children are not separated from the adult inmates. Generally.— The workhouse is defective, and inadequate to the purpose for which it is intended in every particular. A new workhouse is now in course of construction. 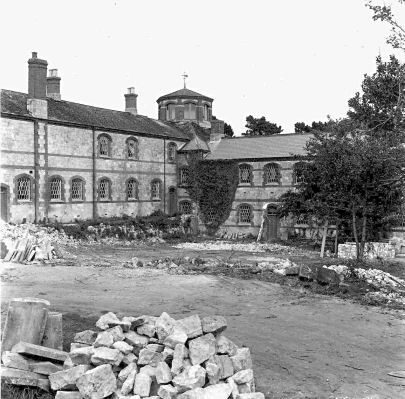 The Church Street site continued in use until 1868 when the new workhouse was opened. 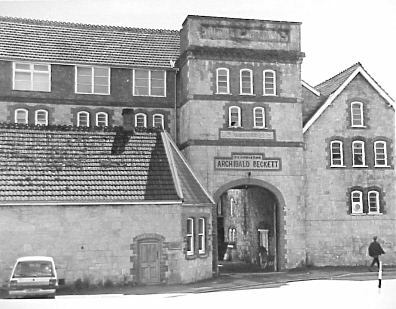 The old building was then converted to become the Wiltshire Brewery by Archibald Beckett. He later erected a new steam brewery on the site but a fire in 1885 necessitated a complete rebuilding of the premises. The site later became a flour mills. The new union workhouse was erected in 1865-8 on an elevated site to the south-west of Tisbury, at the junction of Union Road and Monmouth Road. The site location and layout are shown on the 1925 map below by which time the workhouse had officially become known as Tisbury Poor Law Institution. 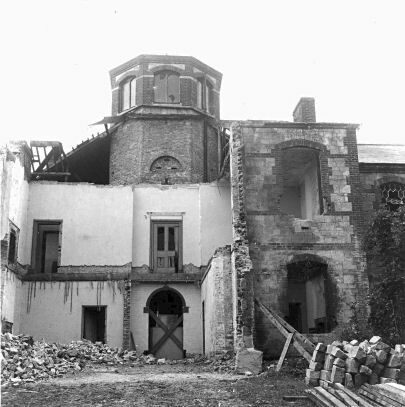 The building was designed by Christopher C Creeke, who was also the architect of workhouses for the Chippenham, Blandford and Christchurch unions. His design for Tisbury was a simple T-shaped layout with its main block facing to the north-east. 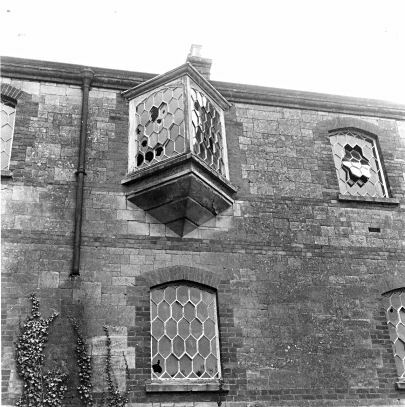 The two-storey building was constructed from local Chilmark stone and crowned by a circular lantern, a feature Creeke also employed at Chippenham and Blandford. Tisbury union workhouse from the south. 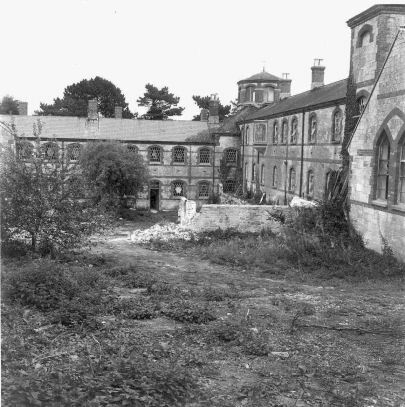 Tisbury union workhouse from the west. 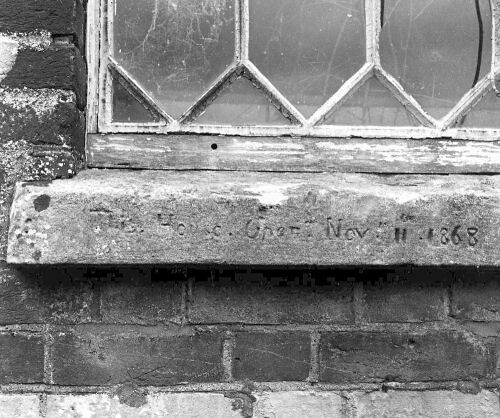 The exact date of the workhouse's opening, 11th November 1868, was inscribed into one of the window-sills. During the Second World War, various units were accommodated at the site including a non-combatant corps made up of conscientious objectors and 'safe' aliens such as German Jews who performed war work that did not involve the carrying of arms. 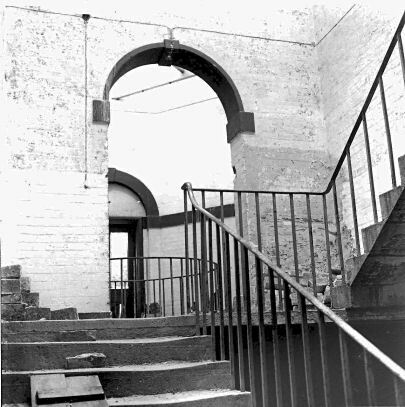 The former workhouse buildings were demolished in the early 1960s and the site has been redeveloped as a housing estate. Wiltshire and Swindon Archives, Wiltshire and Swindon History Centre, Cocklebury Road, Chippenham SN15 3QN. Very few records survive — holdings include: Guardians' minutes (1835-1930, with gaps). Victoria County History of Wiltshire , XII, Oxford University Press. Thanks are due to Peter Goodhugh for very kindly providing the pictures of the Tisbury workhouse.